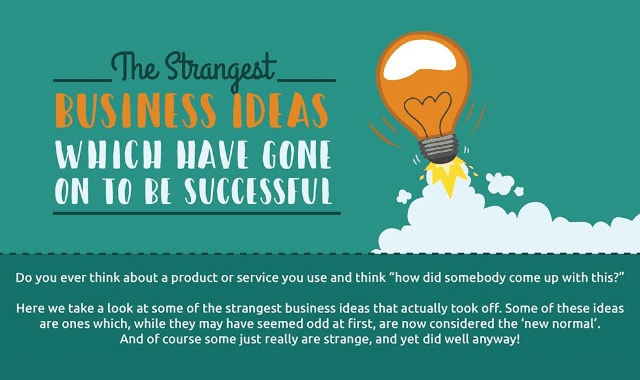 The Strangest Business Ideas Which Have Gone On To Be Successful #Infographic ~ Visualistan '+g+"
Do you ever think about a product or service you use and think "how did somebody come up with this?" Here we take a look at some of the strangest business ideas that actually took of. Some of these ideas are ones which, while they may have seemed odd at first, are now considered the 'new normal'. And of course some just really are strange, and yet did well anyway!